If I could describe the year 2018 in one word, it would be intentional. When the year started out, I was determined to be more intentional in everything I do – my work, my self-development, my faith and my relationships. Today, I can look back and see how much this decision has improved my life. You too can live a more intentional life, simply by taking out time to improve yourself. Remember, you are a vessel and it was what you fill your life with that you will fill the world with. You can only give what you have. This list is a part of my end-of-year series tagged #YearOfTen. I created a vision board. When I created a vision board, I answered the question “what do I want to do with my life?” I am so glad that I did this at the beginning of the year. It helped shape the rest of the year for me. 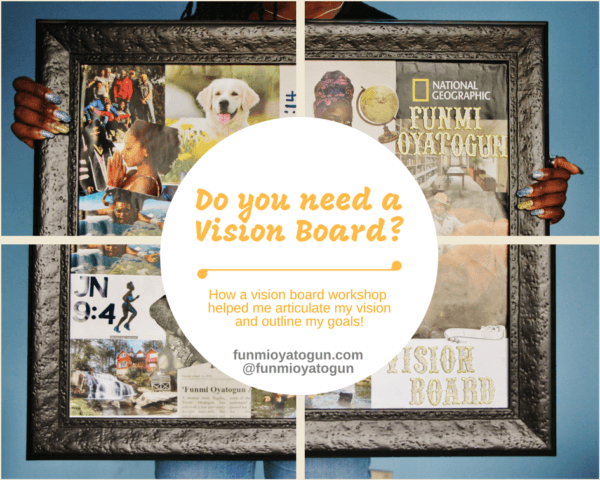 After hearing so many different things about vision boards, I finally took a workshop with Folakemi Odesola which helped me through the process of de-cluttering the ideas in my head and laying them out as visuals. Now, I have a constantly evolving visual representation of my goals to complement my written words and inspire me to keep moving. Here’s a story I wrote about how I created a vision board. 2. I signed up for African Womens Empowerment Cooperative (AWEC). What an amazing programme! I cannot wait to write about how much AWEC has helped me improve my business skills as well as my technical abilities to create solutions and build wealth in the process. AWEC is a free, year-long intensive learning programme which selects entrepreneurial women from across Africa. It is like going to business school but with more practical activities and two all-expense paid summits somewhere in Africa. The second cohort for 2019 opens up in a few days and I encourage all women running (or planning to start) businesses in Africa to apply. 3. I climbed Mount Kenya. I love to climb mountains and engage with nature. This year, I climbed Mount Kenya – the second highest mountain in Africa, battled altitude sickness, broke all the limits I thought my body had, and experienced something that I will never forget. Truly, many are mad, few are roaming, another few are climbing. 4. I read books and listened to audio books. You are what you read. My thirst for knowledge leads me to find books and those books lead to me to more books. If you’re struggling to start reading, you can start with articles on op-ed sites and news sites. If you spend a lot of idle time in traffic or doing a monotonous job, sign up to an audio-book platform and listen to books. I love to read a lot of different things and the abundance of things to learn is fascinating. Be careful to not read all books as a manual to life because everything has meat and bones! 5. I began a steady workout routine. One of the best things I spent money on this year is Netflix. For only $12 a month, I have access to amazing films! So, friends, this is a list of the 10 best documentaries I watched this year on Netflix. I’ve learned a lot. I can’t wait to learn more. 7. I wrote daily (almost) journals. I like to write. 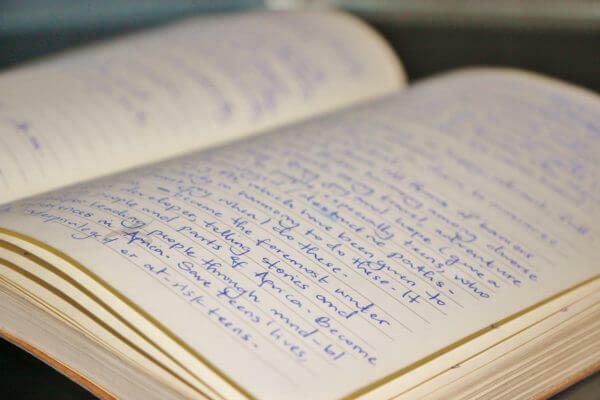 My most intimate writings are stored away in a journal that I can reference for refuge, nostalgia or encouragement. It contains my prayer list, my dreams, lessons I’ve learned, remarkable happenings each week and musings. 8. 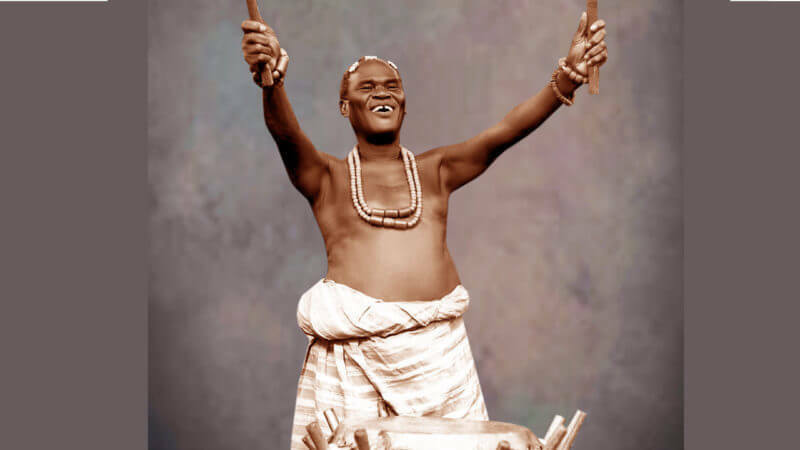 I built intentional support systems. Who is in your inner circle? I am so thankful for a year of more intentional friendships, a tight accountability circle, friends I am growing with and a family that is running deep as it grows wide. I believe strongly in the importance of godly accountability and your network of mentors, close friends and family will influence who you become. 9. I committed to a daily (almost) devotional. I do not discount the importance of prayer and communion with God. In fact, I extol this power. Without it, I would lack a compass for my goals. It has been incredibly helpful to have a daily devotional which provides a passage of the scriptures to study, a practical application note and prayer point guidelines. When I combine this with worship and my personal prayer points, I start my day on a note of gratitude and a strong thirst for godliness. 10. I became active on Twitter! In March, I had 300 followers on Twitter and no clear plan on how to engage this tool. 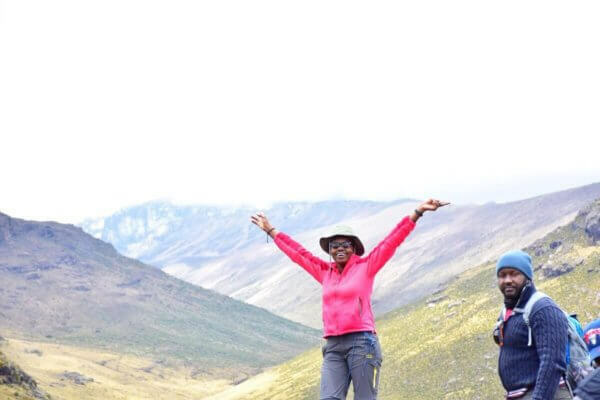 The same month, I began creating threads to share information about travel, tourism, cultural borders, colorful maps and guides on how to travel better across Africa. In 9 months, my followership has grown to 13,000 and I have a better understanding of how to use a volatile tool like Twitter for good! Twitter is what you make of it. It could be a forum for networking, wit contests, clap-backs, political wars, learning or gossip. Just remember that Twitter is like a market square – everyone’s on there; from the town crier to the village rabbi. I hope this list of ten things helps you live a more intentional life. I do not want to stop here so feel free to share your list with me. What thing(s) did you do in 2018 to improve yourself? It could be something to take care of your body, mind, spirit or soul! 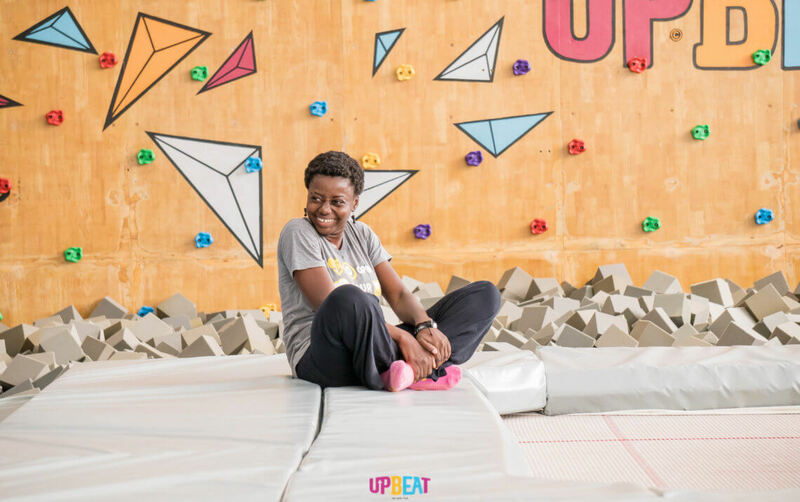 Follow ‘Funmi’s discoveries, travel stories and guides on Instagram — (@funmioyatogun). You can also book a group tour or a custom travel itinerary with TVP Adventures (@TVPAdventures). 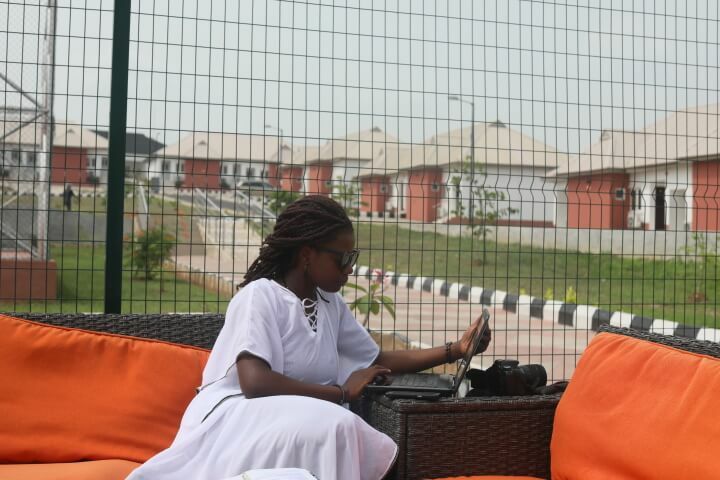 ‘Funmi is available for writing or travel expo opportunities. 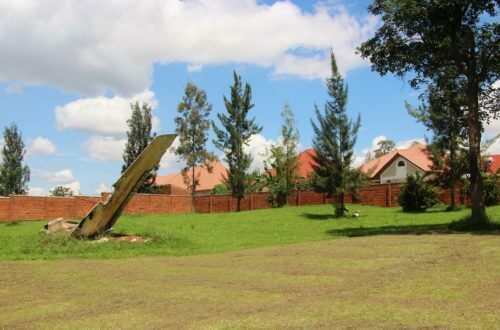 Fascinating Stories From Kigali – The Genocide Story, A President’s Plane Crash in His Home & Lots More! Hi Funmi, I must say you are more of a blessing that you would ever imagine. 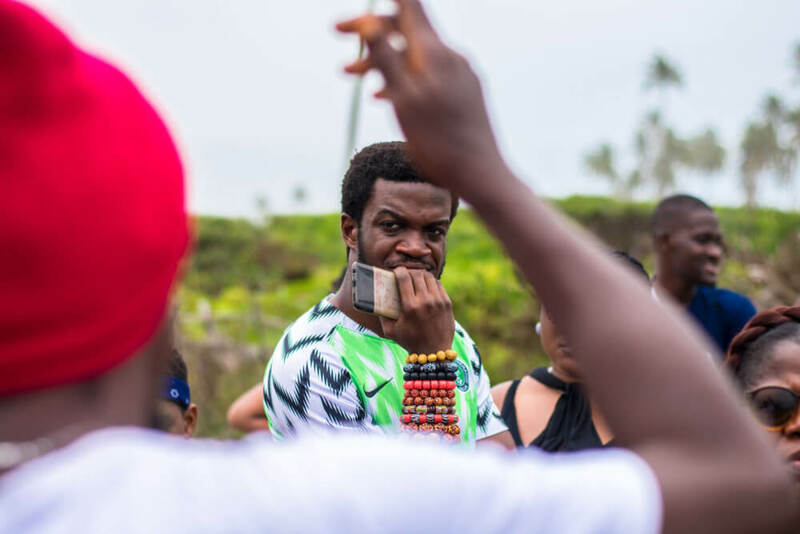 I follow up on your posts on twitter and IG, I must say that I’ve been challenged to live or least see myself more better as you post my mind. Just when I thought nothing was going to trigger me this month. I stumped on your post and living intentionally is just what I will do this year. Thank you for this Funmi. Thanks for sharing, I want to get better this year 2019. Though this year I want to have a job with stable income to enable me see other parts of the world. Also I look forward to applying for the business fellowship too. Am greatly spurred to live intentionally this year 2019. Thank you for this complete piece funmi, God bless you more.